Taiwanese mobile phone maker HTC has reported its first ever loss as it continues to lose ground to rivals. It made a net loss of 2.97bn Taiwan dollars ($100m; £62m) in the three months to September. Its numbers are in sharp contrast with rival Samsung, which has forecast record profit for the same period. HTC was one of the early market leaders in Android smartphones, but has lost market share to rivals such as Samsung and Apple in recent years. 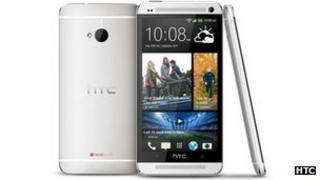 It has launched new products, such as the HTC One, in an attempt to regain some of the lost ground. While the firm has claimed that the response to those products has been encouraging, analysts have warned that prospects of a recovery continue to remain weak. Laura Chen, an analyst at BNP Paribas, said that there were "no signs" of a recovery anytime soon. The company's shares have fallen more than 50% over the past 12 months amid concerns over its future growth.